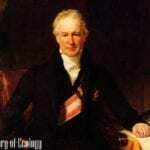 Online Microbiology Courses: Who do you think rules the world? Certainly not humans. Not even mammals or insects. The world is ruled by microorganisms – tiny beings that cannot be even seen by the naked eye. Most of them do not even have a proper nucleus like our own cells do. This diverse class of living beings is a subject of microbiology – one of the most exciting among the biological sciences. There are many areas where microbiology can be of use. Compared to many other disciplines, microbiology is not particularly easy to teach online. However, careful research can reveal some institutions that allow USA students to delve into the fascinating world of bacteria and viruses through courses offered online. 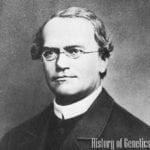 Is it possible to study Microbiology Online? Absolutely! 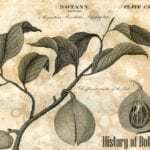 Distance learning and online learning options for Microbiology were hard to find until recently. 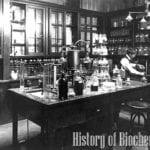 Microbiology is a favorite subject and is taught at many colleges and universities. Most microbiology courses are usually offered on campus, because they often require laboratory training such as staining, culturing and microscopy. In our digital age, some universities do offer online options as well, and those courses also count for college credits. Offered by: College of Agricultural and Life Sciences, University of Florida. 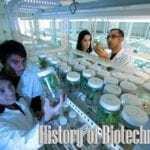 A bachelor degree in Microbiology and Cell Science is offered by Florida University offers some microbiology courses, including fundamentals of microbial physiology and regulation, as well as courses on molecular biology, genetics, and virology. Both online and on-campus intensive labs that teach the students basic methods of microbiological research are offered as well. There is also an online Masters degree that offers advanced courses in Bioinformatics, Genetics and Medical microbiology/virology. Both degrees allow the graduates to enter STEM fields or medical/veterinarian specializations. The degree is also available at Miami Dade College as a distance learning option with lab training. The University of Florida is accredited by the Southern Association of Colleges and Schools. Its online programs are ranked No. 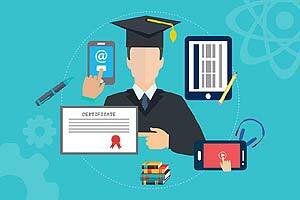 5 among all online programs by US News. Offered by: School of Medical and Health Sciences, George Washington University. This online microbiology course is a specialized program focusing on clinical microbiology and laboratory methods needed for work as an assistant at a diagnostic microbiological laboratory. Applicants need to have prior knowledge of chemistry and biology, as well as math. On completion, the student would acquire a Master of Health Sciences Degree in Clinical Microbiology. George Washington University is fully accredited by the Middle States Association of Colleges and Schools. George Washington University is ranked 56 in the Best National University List. Offered by: George Washington University (GWU). This online microbiology course is intended for students that already have a Microbiology degree. GWU offers advanced microbiology courses and courses in leadership. 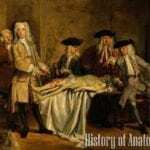 It is a non-clinical program, more focused on theory. Careers are diverse; they range from the laboratory and managers to research assistants in Microbiology and biotechnology. GWU is ranked 56 in the Best National University List. Offered by: Herkimer College of State University of New York (SUNY). 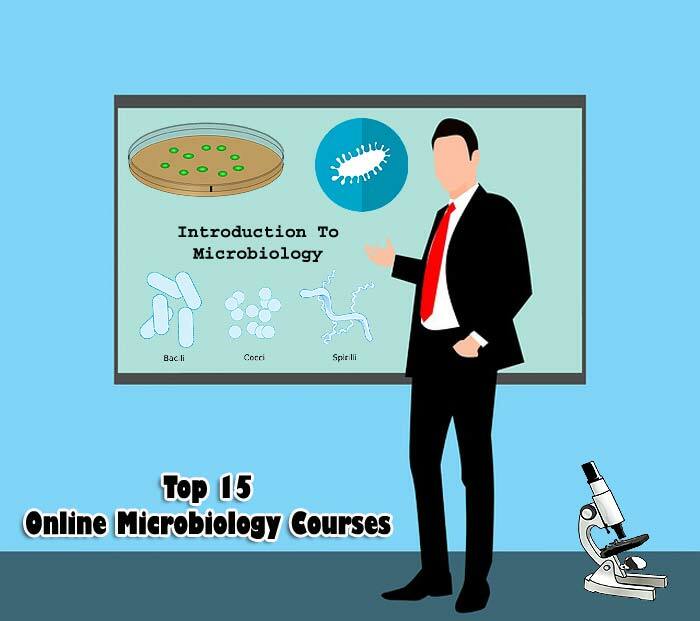 This basic online microbiology course teaches major microbiological concepts such as a survey of microbial classification, structure, metabolism, and genetics. Hands-on training in laboratory methods is also offered by this course. Completing the course earns college credits which then can be used for pursuing other degrees. Herkimer college is an accredited community college. Accredited by the Middle States Commission on Higher Education. The organization accredits colleges and universities located in the Middle States region, which includes Delaware, the District of Columbia, Maryland, New Jersey, New York, Pennsylvania, Puerto Rico, the US Virgin Islands, and several locations internationally. Distance Learning Programs of Herkimer college is approved by the New York State Education Department. Offered by: Mississippi State University. This online Microbiology course is a part of the Master of Science in General Biology degree, aimed for K-12 teachers. The program is held entirely online and lasts three hours in total. The credits earned at the course can be used for a degree in Education or a Master of Science degree in Biology. The program is a part of the Distance Learning initiative at Mississippi University. Mississippi State University has accreditation from the Southern Association of Colleges and Schools Commission on Colleges. This particular program also has accreditation from the National Council for Accreditation of Teacher Education. Offered by: Ulster Community College. 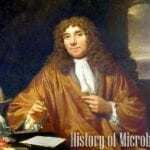 This online Microbiology course grants a student 4-credits upon completion. The syllabus covers classification, diversity, and roles of microorganisms in health and disease. Students need to take courses in laboratory biology beforehand. The acquired credits from this course can be applied to degrees in biological sciences and pre-med, as well as nursing. Ulster community college is a unit of the State University of New York. All courses are approved by the New York State Education Department, Office of Higher Education. The college has accreditation from the Commission of Higher Education of the Middle States Association of Colleges and Schools. Ulster Community College is renowned as one of the best community colleges of New York State. Offered by: UNE Online, University of New England. This Microbiology course lectures cover a lot of areas namely history of microbiology, classification, genetics, elements of immunology, as well as examples of infectious diseases. The course is expected to provide the groundwork for further studies in the sciences and health professions. This course is intended as a part of the core curriculum for students who wanted to learn Health Sciences. 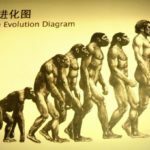 The students need to take a college-level course in biology, preferably anatomy/physiology to be eligible for the course. Students can also opt to take an additional lab course and need to buy a lab kit for it. UNE is regionally accredited by the New England Commission on Higher Education. Not all colleges may accept this degree. 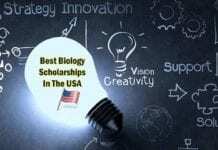 Offered by: College of Liberal Arts and Sciences – Life Sciences, University of Arizona. This course is an introductory course in microbiology; This online Microbiology course can be part of an online Bachelor of Biological Sciences degree. As a prerequisite, a basic course in Biology and Chemistry is required. This course can be taken for the accelerated degrees in Biology that the college offers, available online. 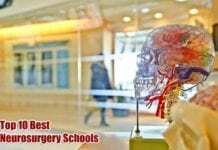 The college was awarded the first place in innovation by US News & World report in 2018. Its undergraduate online programs are ranked 8th in the country. Ranks 62nd in the Biological Sciences. The University of Arizona has been accredited by the Higher Learning Commission (regional accreditation), last evaluated in 2010. Offered by: University of Louisville. This introductory course is part of the core curriculum of the Registered Nurse (RN) to Bachelor of Science in Nursing (BSN) online degree. The RN to BSN degree map can be seen here. Online programs of the University of Louisville are accredited by the Commission on Colleges of the Southern Association of Colleges and Schools. This course is a part of the online bachelor degree in Nursing. 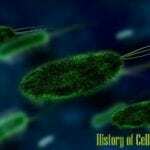 In this course, History, metabolism, infectious diseases caused by microorganisms are discussed, as well as interactions between microorganisms and the environment. Troy University is regionally accredited by Southern Association of Colleges and Schools Commission on Colleges. 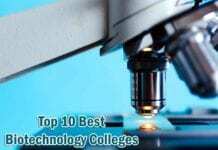 The university made the top 20 of online colleges in Alabama. Offered by: American Public University. The online course is offered as a prerequisite for science and health degrees. This program focuses on microorganisms as causative pathogens of skin, eye, gastrointestinal (GI) tract as well as major microbiological concepts. Microbiological research methods, such as staining and culturing are also discussed. American public university is a member of the American Public University System, accredited by the Higher Learning Commission. Public Health degrees are accredited by the Council on Education for Public Health. Offered by: Utah State University Online, University of Utah. This online Microbiology course discusses the role of microorganisms in food poisoning, spoilage, and preservation. This curriculum can be a part of an online degree in Food Safety and Quality. Best Bachelor’s online programs award from US News &World Report. Approved by State Authorization Reciprocity Agreement. Accredited by Northwest Commission on Colleges and Universities and US Department of Education. One needs to check if a particular program/course is authorized in the state the student resides. Offered by: University of Phoenix. This online Microbiology introductory course for undergraduate students covers major concepts, such as fundamentals of microbiology, microbial diversity, structure, as well as the role in health and disease. This online course lasts 5 weeks. Accredited by the Higher Learning Commission.See here for licensing in particular states here. Offered by: North Carolina (NC) State University. This web-based course discusses both microbiology in general and also the role of microorganisms in food safety. This online Microbiology course is aimed as a credit for food safety specializations. Note that the same school offers a variety of online degrees, including an online certificate in microbiology, as well as a certificate in soil science that includes soil microbiology. Certification for industry professionals is approved by the Hazard Analysis and Critical Control Points (HACCP) Alliance. The NC State University is ranked 1 in the list of Best Colleges in North Carolina. Both the on-campus university programs and online programs are accredited by the Southern Association of Colleges and Schools Commission on Colleges. Offered by: Mizzou Online, University of Missouri. This specialized online course discusses different aspects of food science. It counts as a credit for the food safety and defense specialization the university offers. As we can see, one can find high-quality microbiological courses online that would count for different degree levels. Note: In the case that the college of your choice does not consider you eligible yet, or if you do not have funds for tuition – you can always refer to free online courseware. For instance, among courses offered as part of MIT Online Courseware, you can find a course in environmental microbiology or systems microbiology. They would not count for credit, but will certainly make you much smarter! Moreover, they are fascinating! 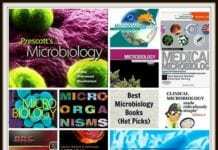 Cite this article as: "Top 15 Online Microbiology Courses For US Students," in Bio Explorer by Jack Kirsten, April 7, 2019, https://www.bioexplorer.net/online-microbiology-courses.html/.